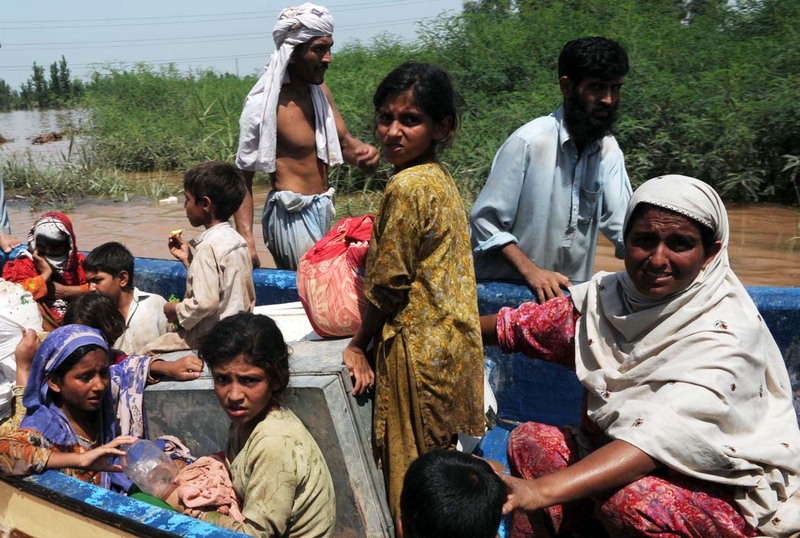 For hundreds of thousands of Pakistanis forced by the floods to abandon their homes, food is a primary concern. IRIN news reports that some families have gone days without a meal. Frances Kennedy, a World Food Programme (WFP) spokesperson, told IRIN: “We are very concerned about the nutritional situation. About 2.8 million people have been reached, but there are others in need. Camps are crowded and people are sleeping on sides of the roads.” WFP has been supplying “dry rations” (family rations for a month), made up of wheat flour fortified with vitamins and minerals, cooking oil and high-energy biscuits. “This allows us to reach more people, more quickly… These distributions are at different points across the flood zone – both in camps and other locations identified through our assessments and where partners have been able to set up distribution sites,” Marcus Prior, a WFP spokesman, told IRIN. Currently about 4.8 million people are without shelter, “although we believe this may have gone up considerably with the latest developments in Sindh,” said Maurizio Giuliano, a spokesman for the UN Office for the Coordination of Humanitarian Affairs. The immediate impact on the population is truly staggering — 20 million people affected with 8 million in need of water, food, and shelter; 1,500 to 2,000 killed; 4 million left homeless; and 15 million displaced. The devastation has hit virtually all sectors of the economy. The Pakistan government estimates total economic damage to be near $15 billion, or about 10 percent of GDP. Damage to infrastructure alone (roads, power plants, telecommunications, dams and irrigation systems, and schools and health clinics) amounts to around $10 billion. 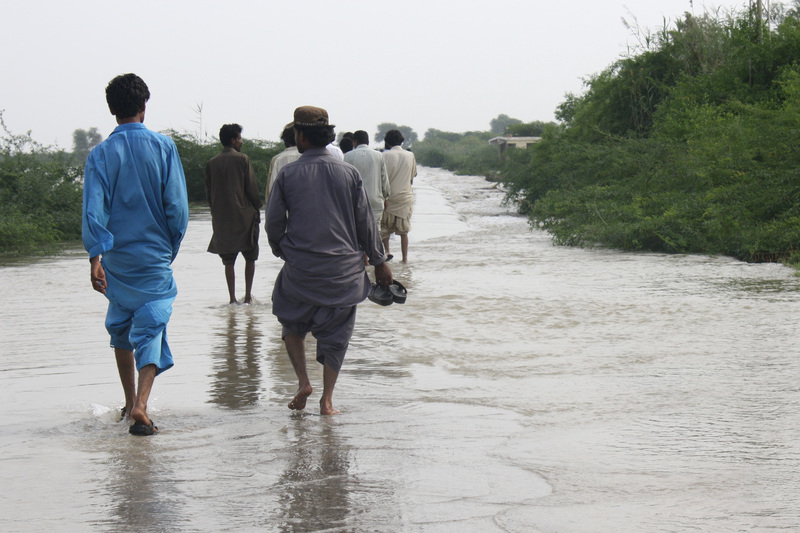 Mohsin S. Khan, senior fellow at the Peterson Institute for International Economics, and Shuja Nawaz, director of the South Asia Center at the Atlantic Council of the United States, have written about the economic impact of the Pakistan floods. They say that agriculture, which represents 25 percent of the Pakistan economy and provides employment to 50 percent of the workforce, was extremely hard hit. At least 30 percent of the cotton crop has washed away, which is bound to devastate the textile industry, the mainstay of Pakistani manufacturing and exports. Adding to this is the loss of wheat, rice, and maize crops, and about 10 million head of livestock. Altogether agricultural production this year could fall by as much as 15 percent. Even next year’s production is likely to show a further decline because the spring wheat crop that needs to be planted in October–December this year will not be possible.